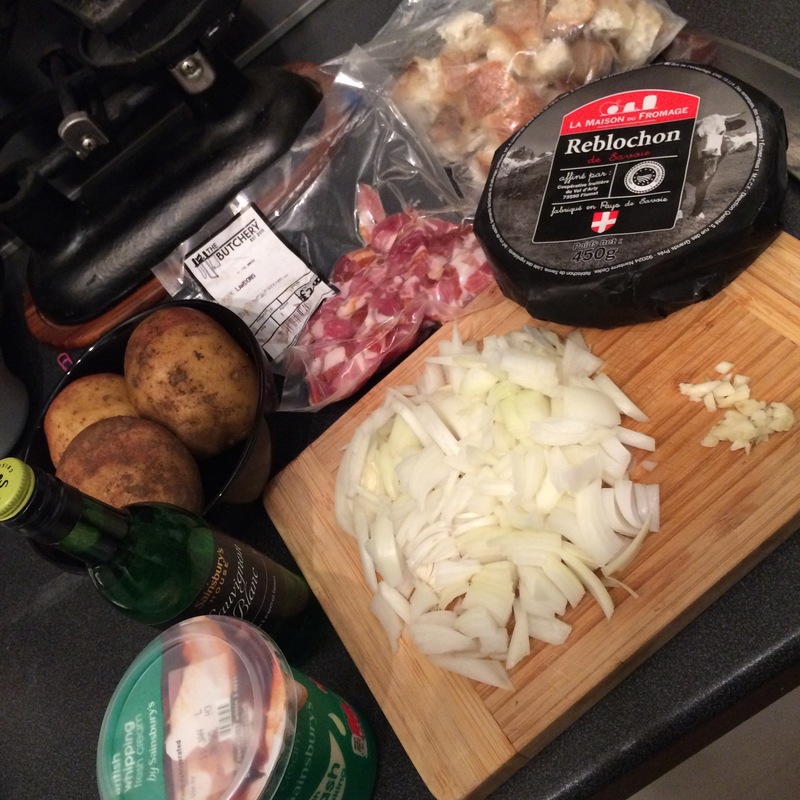 RECIPE: Tartiflette! Cheese. Bacon. Potato. Heaven! I haven’t posted anything for a long time, nor have I properly cooked for months! My only excuse is the complete and utter exhaustion that was early pregnancy – I couldn’t keep my eyes open to eat, let alone create delicious dishes in the kitchen. But thankfully that has passed and I can now make it past 8pm. 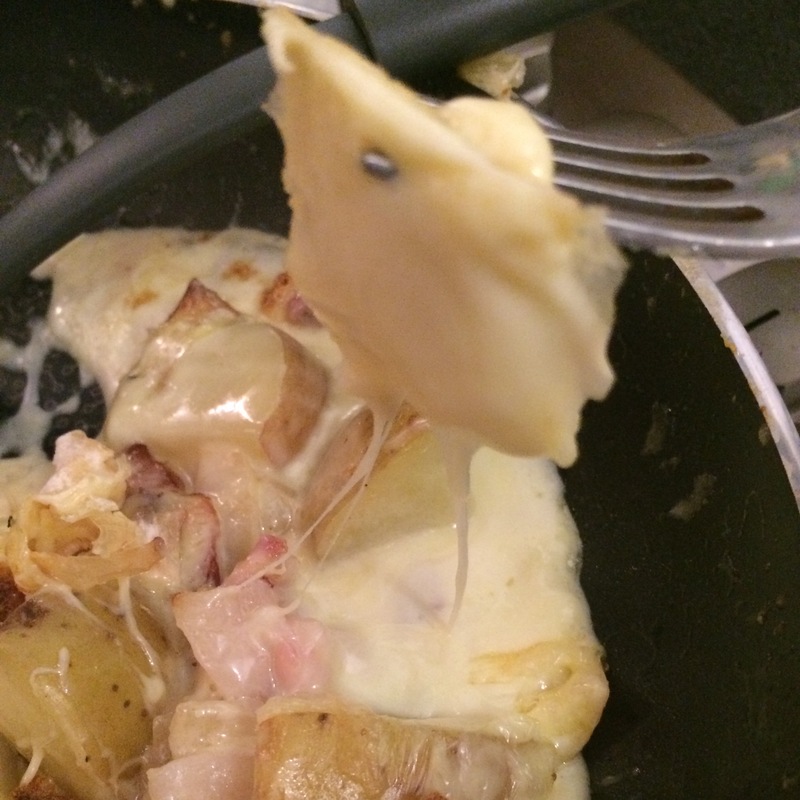 And this week I made tartiflette! I work in a French cafe, and my boss is a French lady who cooks wonderful quiches and savoury cakes for lunches. She also goes over to France every few weeks to stock up on French deli items, to sell in the shop. Over Christmas we put together hampers of various French foods – a ‘petit dejeuner’ hamper full of breakfast items, a ‘petit snack’ hamper of crackers, chutney and pate, etc. Just before I left for the Christmas holidays, my boss surprised me with a tartiflette hamper! 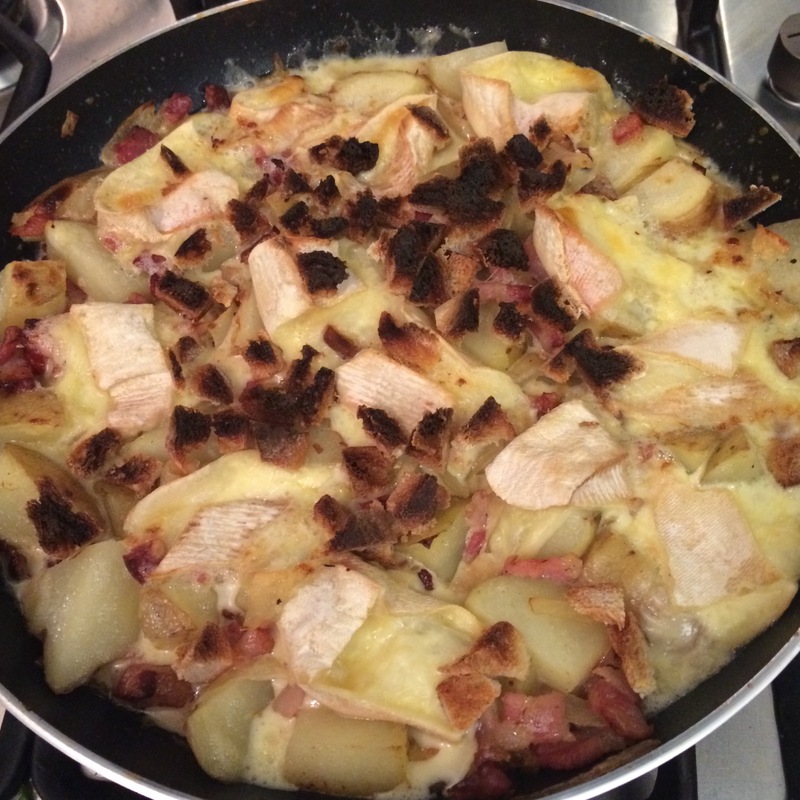 Having never heard of tartiflette before, I quickly googled the term and was delighted to find that it looked freeeeaking amazing. However I was a bit intimidated by how rich the dish appeared… Pregnancy thankfully zapped my sweet tooth (which is now back with a vengeance sadly) and anything rich was off the cards too – if I’ve been craving anything then it’s salad and tangy-but-not-sweet foods (if you have any suggestions of foods that fit that brief, please enlighten me!). Anyway, we went away for Christmas straight away, so I didn’t get to try the tartiflette until this week. Not only was it delicious and not as rich as I was dreading imagining, it was also very simple to make. 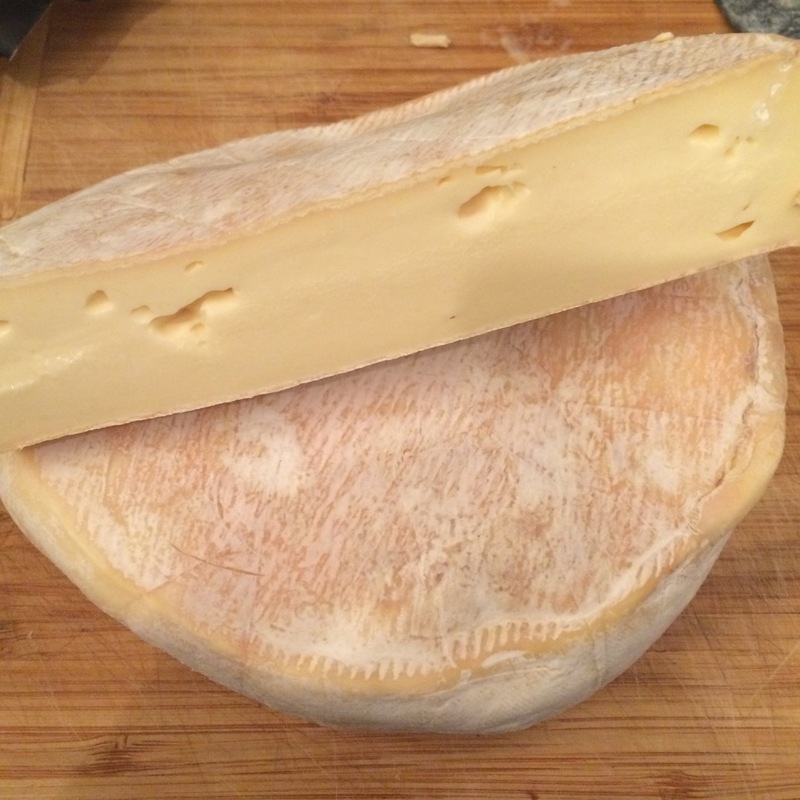 My hamper contained a whole reblochon cheese – I’ve done some searching and you can find this cheese in the higher-end UK supermarkets, but not your regular Tesco or Sainsburys. Reblochon is a soft, washed-rind cheese from the Alps, and if you can’t find it then a good alternative would be a camembert or brie, although these have a milder taste. Also in my hamper were some lardons, and some potatoes. I’m not sure what type of potato they were, but try and use a waxy variety. 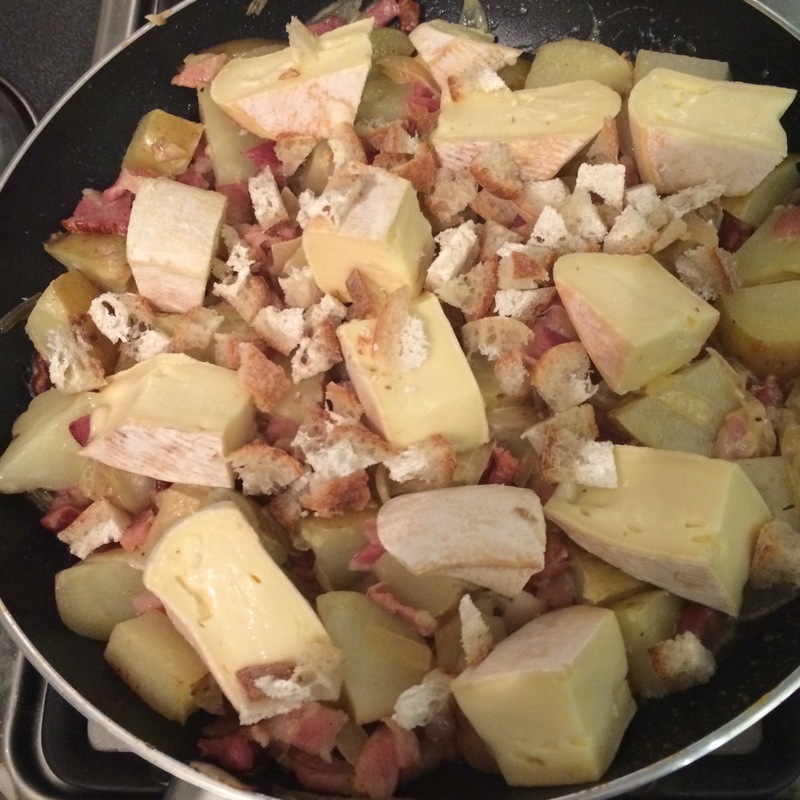 I looked up how to make tartiflette, and there are many different variations – with or without wine; in the oven, under the grill or on the hob; careful layers of potato, bacon and cheese vs everything tossed in together… below is what I did, but feel free to make changes! 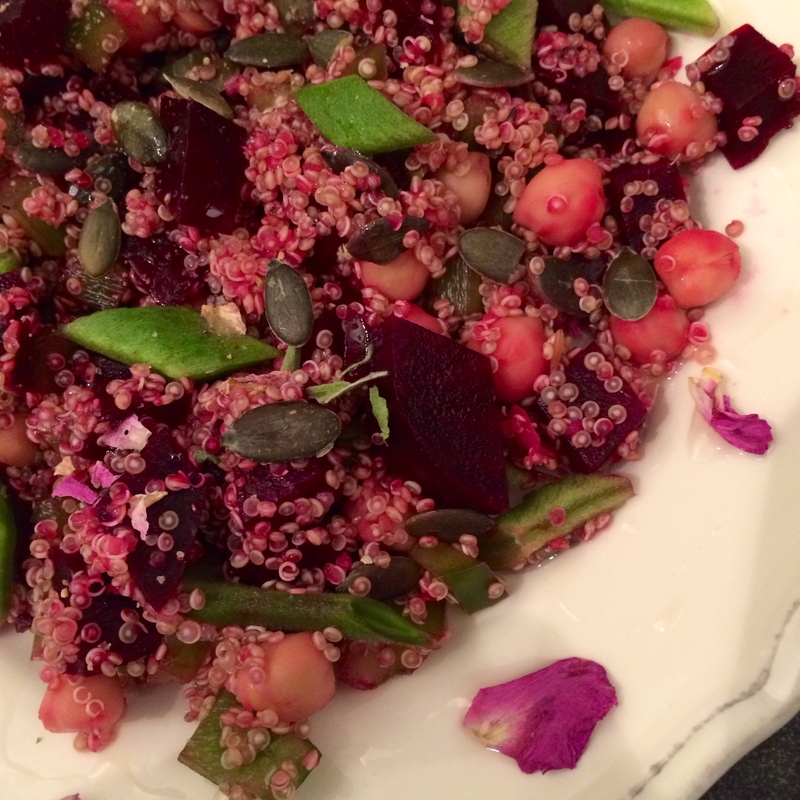 This recipe serves four generously (I probably ate about 3-portions-worth…). 1. Scrub and de-eye the potatoes. 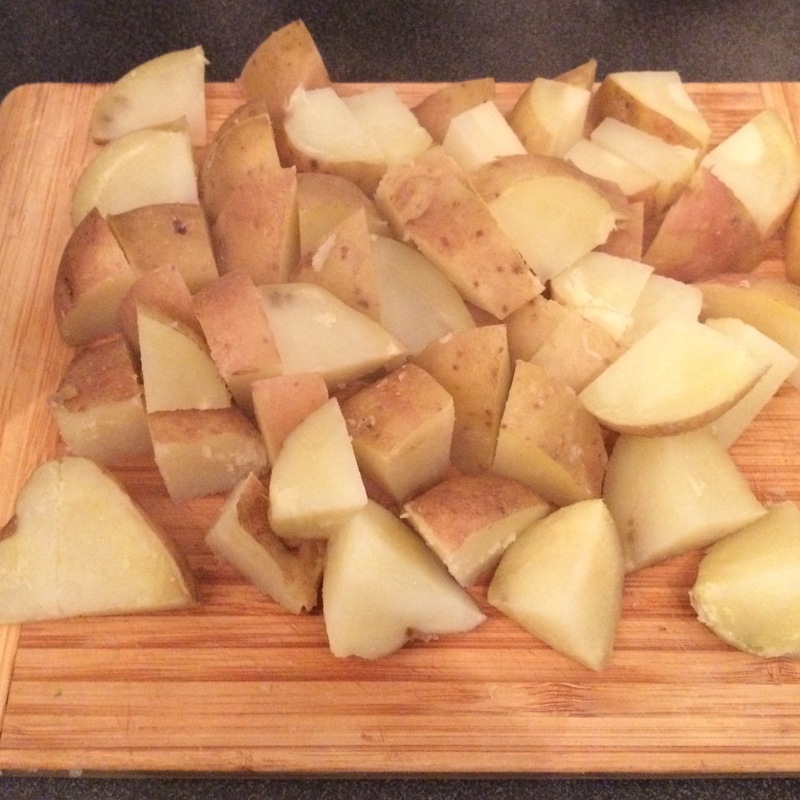 Chop into large chunks, add to a pan of water and bring to the boil. 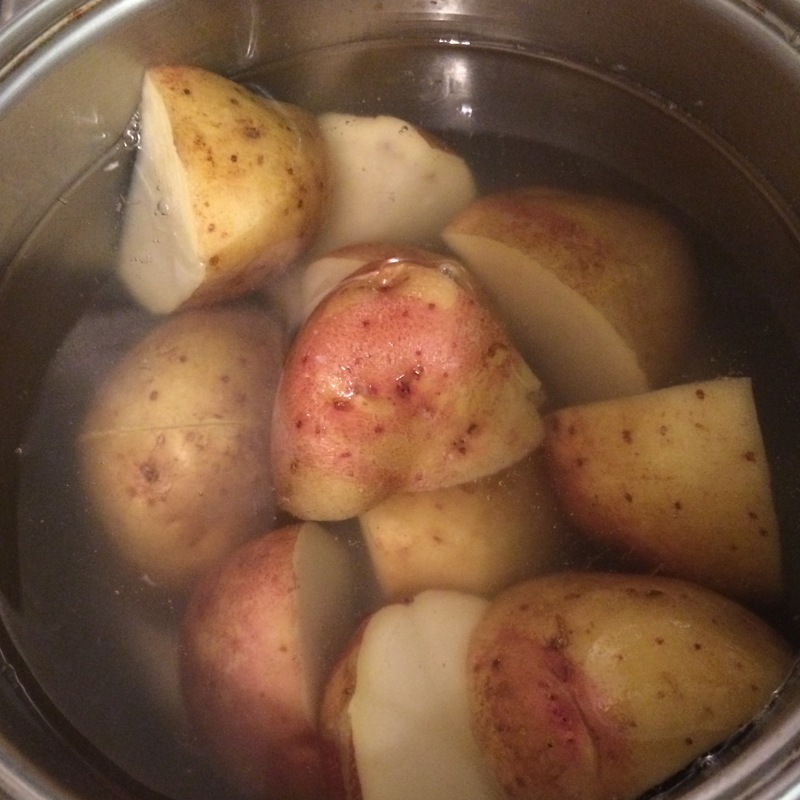 Boil for around 5 minutes until par-boiled, so that a fork easily sinks a few millimetres into the potato. 2. 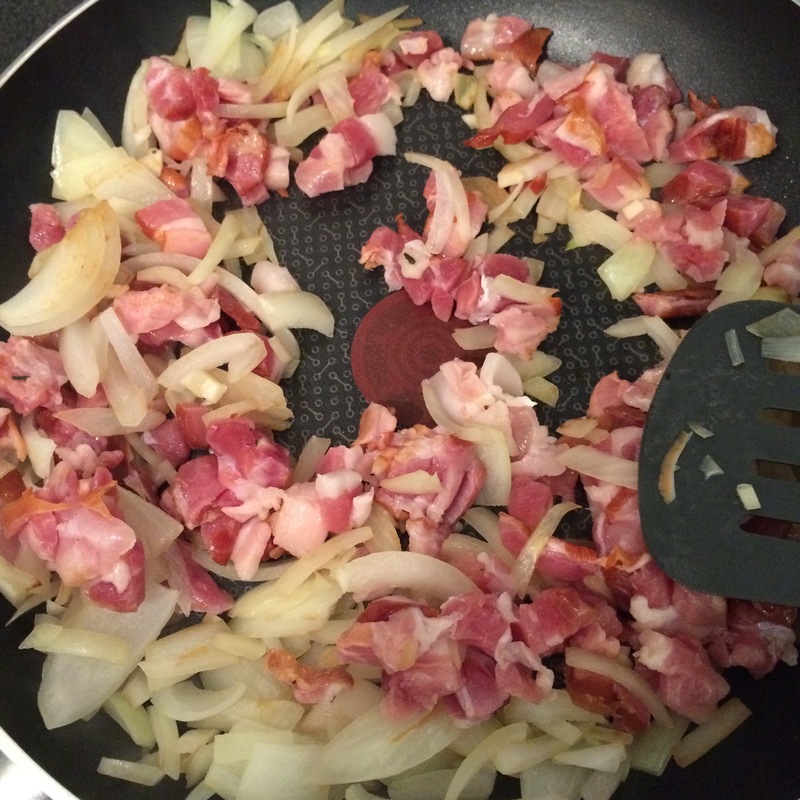 Fry the onion in a pan on the hob. I couldn’t bring myself to add any extra fat to this dish – two sprays of cooking oil and a non-stick pan did it for me. 3. After a couple of minutes, add the chopped garlic clove. 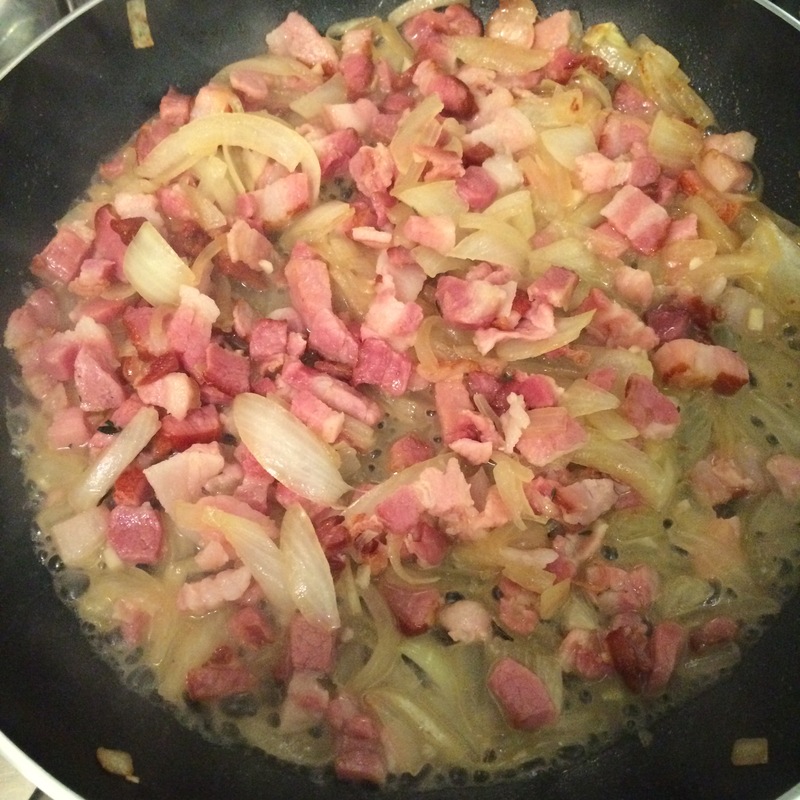 Once the onion has begun to turn translucent, add the bacon to the pan and fry. 4. Add a dash of white wine to the frying pan and cook until reduced. Repeat this step until you have added as much wine as you like, about half a glass. 5. By this point your potatoes should be par-boiled. Drain them and chop into smaller chunks – make sure you don’t burn your fingers! 6. 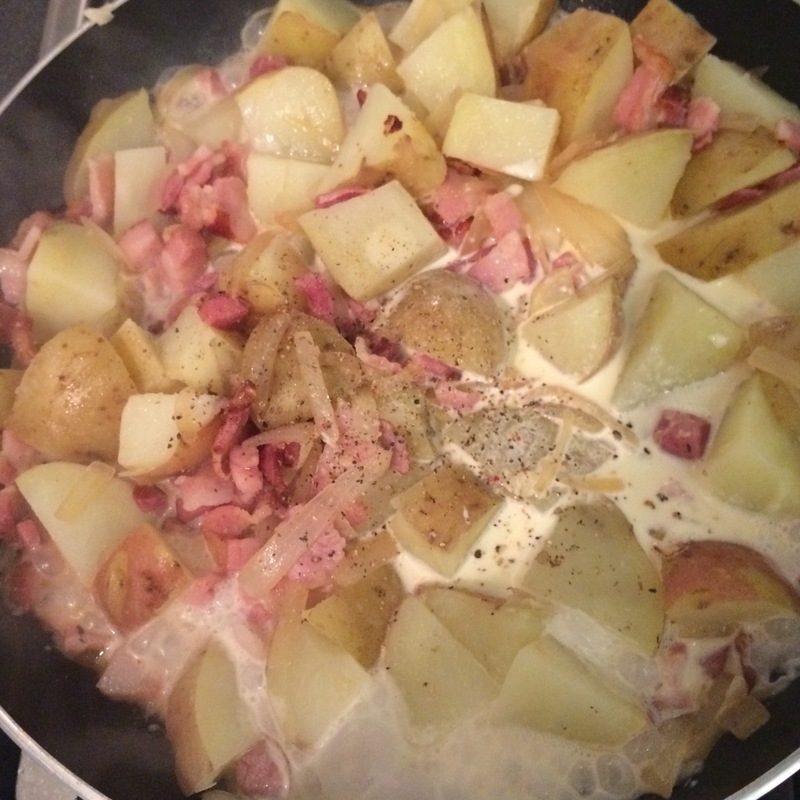 Add the potatoes to the pan with a dash of cream. Season with freshly ground black pepper. Leave it to bubble away while you preheat the grill to a medium-high heat. 7. Cut your cheese into large chunks and place on top of the other ingredients in the pan. Then, scatter over the breadcrumbs (mine were frozen chunks of sourdough, left over from when I made panzanella, but I should have chopped them smaller for this dish!). 8. Place the frying pan under the grill for around 7 minutes, until the cheese is bubbling away and delicious looking. In the meantime, create a fresh green salad and pour a chilled glass of white wine (I had skip that part sadly!). 9. Remove the pan from under the grill using oven gloves to avoid burning yourself if the pan handle is hot! 10. Serve the tartiflette out onto plates, add a pile of salad and enjoy! Recipe: Panzanella! 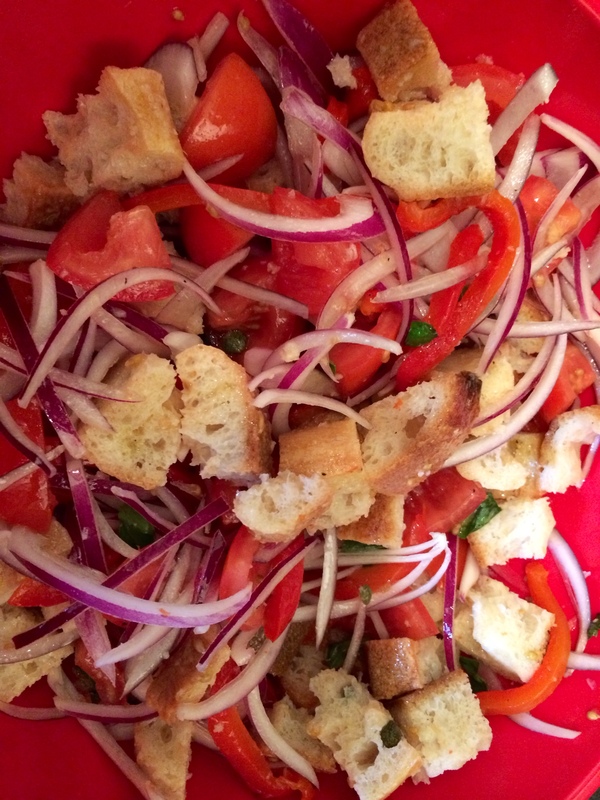 Delicious Italian bread salad. I don’t like sandwiches. I’m not mad about bruschetta, or pizza, or even the humble dinner roll. Bread and butter pudding is not for me, and toasties I can just about take. Beans on toast, Eggs Benedict and we are getting there, but panzanella… THAT is my kind of bread. Make your own Bussolai di Burano Venetian biscuits! 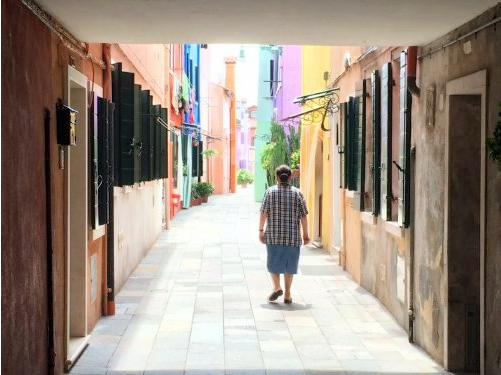 Beautiful Burano, taken by my husband when we visited. Well hello! 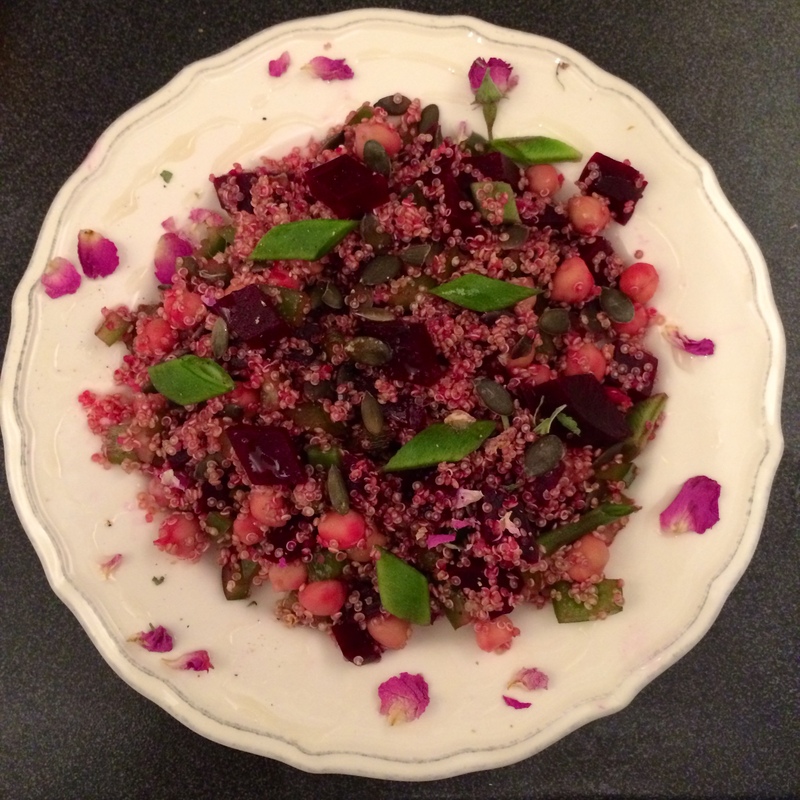 I just wanted to share this delicious salad I quickly rustled up, which looks so pretty with its fuchsia hue and diamond-shaped vegetables. The cherry on top is its luxurious and exotic garnish of dried rose petals and nutty Argan oil! I’ve just got home from a week’s holiday in Marrakech, and bought both the rose petals and Argan oil from an apothecary in the famous souks. We also bought saffron, ras-el-hanout (a blend of 35 spices! ), black cumin (great for clearing out the sinuses) and a monster pumice stone. You may know of Argan oil as the latest must-have cosmetic. The cosmetic oils are great for nail, skin and haircare, making you look glossy and healthy. The oil is made from kernels from the Argan tree, via goat. Goats climb the trees, eat the berries, and well, you can guess the rest… Much the same process as harvesting Kopi Luwak coffee beans. I’m not squeamish and have also tried Kopi Luwak, and I’m so glad! Kopi Luwak was delicious and I’m dreading the day my Argan oil runs out… it is the nuttiest and most flavoursome oil I have ever had! 1. Put the chickpeas into a saucepan, bring to the boil and cook until just soft and warmed through. 2. Wash, top and tail the runner beans, then cut diagonally through the width of the beans to create diamond shapes. Cut the beetroot into the same shapes as much as possible. 3. Drain the chickpeas and stir them through the quinoa, then add the other vegetables and stir. Season with salt and pepper. 4. Pour the salad onto a plate, scatter over the sunflower seeds and drizzle the oil on top and around the outside of the plate. Garnish with rose petals.